If you're on the lookout for a great Frederick, MD, luxury car dealership, look no further. Make Ourisman Lincoln of Frederick your new home for luxury Lincoln vehicles. We offer new and pre-owned models for drivers all over the Frederick and Washington DC areas. We have a great selection of Lincoln cars and SUVs. Plus, our friendly and knowledgeable staff will be available to answer all your questions, so rest assured, we can help you find the perfect vehicle in no time. We have an extensive inventory full of new Lincolns in a variety of trim levels. Explore your favorite new Lincolns in the comfort of our new car showroom, located at 6001 Urbana Pike, Frederick, MD 21704. Unable to make it into the dealership? No problem. You can explore our entire model lineup online, all from the comfort of your own home. Plus, if you have any questions at all, our knowledgeable and dedicated sales team can help you compare and contrast different models. You'll be able to find exactly what you need, all in our no-pressure sales environment. Explore our available models below, plus, check out our available new car specials to discover just how much you can save when you choose our Frederick, MD, car dealership. If you are in the market for a pre-owned vehicle, then you've come to the right place. 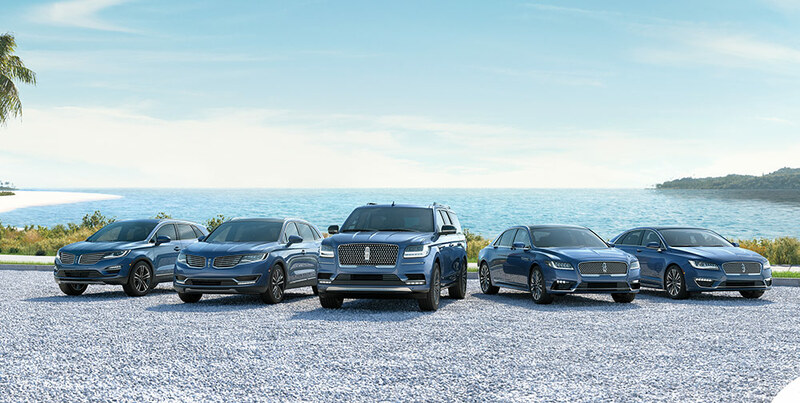 We proudly offer a huge fleet of high-quality, used Lincoln luxury sedans and SUVs, both in our physical showroom and in our online showroom. Every pre-owned model we sell is fully inspected before it's put on the lot. This ensures your full confidence in whatever car you choose to buy. When you're ready, you can schedule a test drive to make sure you are completely comfortable before finalizing your purchase. Plus, be sure to check out our selection of Certified Pre-Owned Lincolns as well. We know that financing your car purchase can often be a frustrating endeavor, but our finance department can help make that process go as smoothly as possible. Whether you choose to buy or lease, we offer exceptional rates through Lincoln Automotive Financial Services , and we offer a wide selection of partnering financial institutions. Ready to find out what type of loan you qualify for? Fill out a finance application to start the financing process on your next Lincoln as soon as possible. Here at Ourisman Lincoln of Frederick, we hope to keep serving you even after you purchase your vehicle from us. We want to help you keep your vehicle running smoothly for years to come. Trust our outstanding service department to keep you covered for all of your automotive needs. From minor services to major repairs, we're here to help. So, whether you're just looking for a simple oil change or something a little more involved, like a transmission repair, know that our staff has your back. Let our talented team of service technicians get you back on the road. Explore our available service specials, which are designed to help you save and keep you happy. Prefer to do the work yourself? Then get in touch with the experts on our parts department. They can help you find exactly what you need to get the job done right in no time. Ourisman Lincoln of Frederick in Frederick, MD treats the needs of each individual customer with paramount concern. We know that you have high expectations, and as a car dealer we enjoy the challenge of meeting and exceeding those standards each and every time. Allow us to demonstrate our commitment to excellence! Our experienced sales staff is eager to share its knowledge and enthusiasm with you. We encourage you to browse our online inventory, schedule a test drive and investigate financing options. You can also request more information about a vehicle using our online form or by calling 888-449-0096.